West facade of the Hotel. 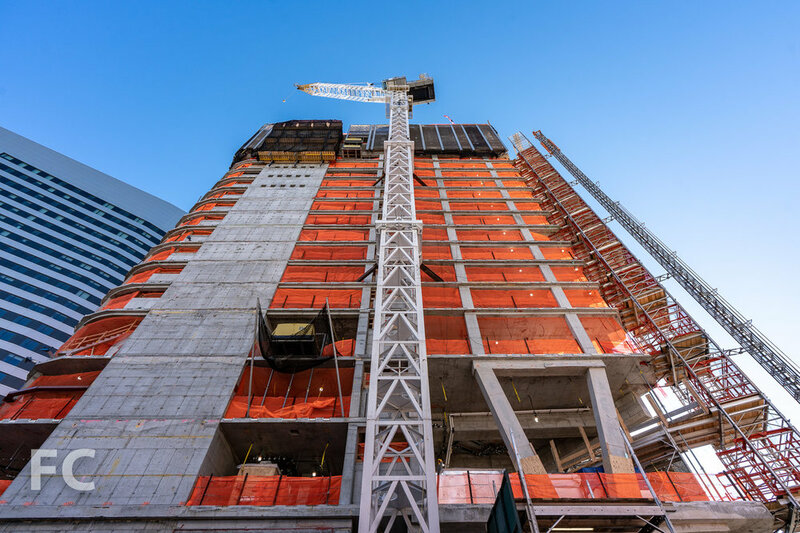 Superstructure is nearing topping out at Cornell Tech’s Verizon Executive Education Center and Graduate Hotel. 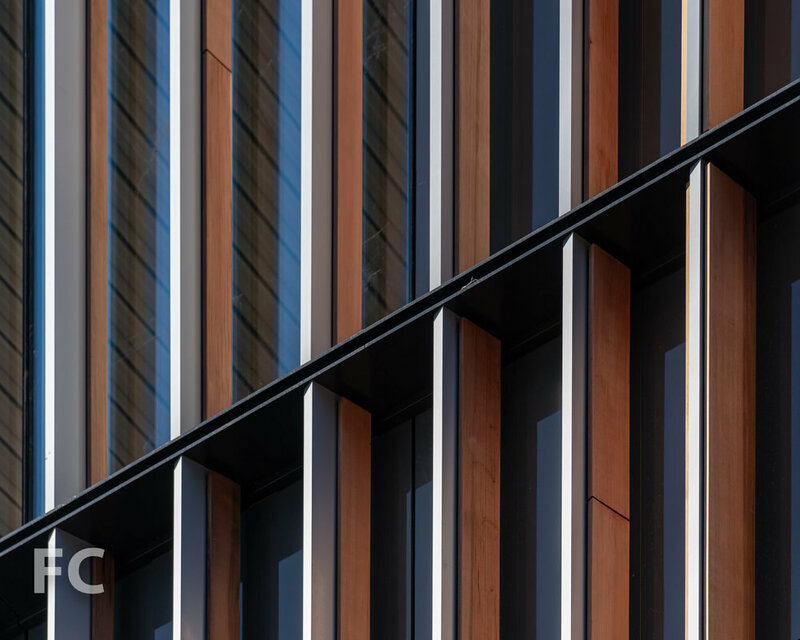 Designed by Snohetta, the project includes a 18-story hotel and an adjacent 4-story structure for academic conferences, executive programs and academic workshops. View of the Cornell Tech campus from the southern open space. The hotel will be operated by Graduate Hotels, a chain that operates in college towns throughout the United States. Graduate Roosevelt Island will offer 196 rooms for visiting families, academics and visitors in town for campus conventions and events. Amenities will include a restaurant, rooftop bar, and flexible event space. Facade installation is already underway on the topped out executive education center, which consists of floor to ceiling glass panels with wood and metal vertical fins for sun mitigation. Facade installation is already underway on the topped out Executive Education Center, which consists of floor to ceiling glass panels with wood and metal vertical fins for sun mitigation. Southwest corner of the Executive Education Center and Hotel. Looking up at the south facade of the Executive Education Center. Closeup of the south facade of the Executive Education Center. South facade of the Executive Education Center. Reflection of the Executive Education Center in the Innovation Center. Southeast corner of the Executive Education Center. Looking up at the east facade of the Hotel. Northeast corner of the Hotel. 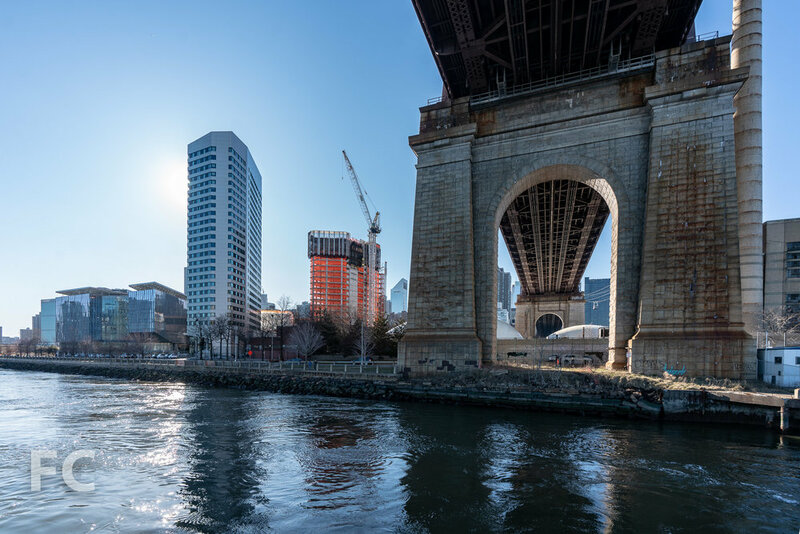 Architects: Snohetta; Client: Cornell Tech with AJ Capital Partners; Program: Hotel, Conference and Meeting; Location: Roosevelt Island, New York, NY; Completion: 2019.